Friday Wrap-Up – News from Celtic Knot, Tidehouse, Good Robot, Spindrift, RoofHound, Unfiltered, and more! • Starting off with some brewery expansion news, Bruce Barton, owner/brewer of Riverview, New Brunswick’s Celtic Knot Brewing, has confirmed that he will be increasing production, from the current 80 L system to a 3.75 BBL (~435 L) within the next couple of months. The current Celtic Knot brewery is located within Bruce’s home, but the new system will be in a separate location in Riverview, where you will be able to drop by to have growlers filled of your favourite CK beers! We’ll be sure to keep you updated on their progress. • Tidehouse will be releasing another of their one-off beers today – Oaked Island is an American Pale Ale, solely and heavily hopped with Centennial, and fermented on French oak (previously soaked in Russian vodka). This unique combination results in flavours of “citrus, pine, and floral notes” from the Centennial, with a “soft, subtle vanilla character” thanks to the oak. Coming in at just 4.9% ABV, it will be available at the TH retail shop on Salter, as well as on tap at Stillwell, Battery Park, and Water & Bone. Look for future one-offs to be released on Fridays in the future – this is a change from previous releases, which have occurred on Wednesdays. Hey, we definitely benefit from that! • The gang at Good Robot has some news and new beers for us this coming week, but also slipped a new beer onto the taps the other day. Dubbel Trubbel came about when Kelly Costello and a co-worker were inspired by a recipe in a homebrew magazine that included star anise and dates. Leveraging GR’s unofficial beer knowledge program that allows employees to try out brewing for themselves, they put the recipe into action, albeit minus the star anise and the dates. Featuring Pilsner, Aromatic, Munich, Vienna, Special B, and Cara-Munich malts, along with Belgian Candi sugar, the beer weighs in at 5.7% ABV. It was fermented with a Belgian Saison yeast, so a little outside the traditional Dubbel style. Brewed on their Beta System, be sure to drop by right away to avoid missing this limited release. • The big news for Good Robot this week is that they’ve found themselves an assistant brewer. Jake Charles DeWolfe is now on the scene, and to celebrate there will be a twin pack of new releases in the GR taproom on Tuesday. The first is DeWolfe of Wall Street, in the American Pale Ale style, a complementary beer to brewmaster Doug’s Burban Legend, mirroring the yin Jake will bring to Doug’s yang. We presume. With a simple malt bill of 2-row, Pilsner and Vienna underpinning a hop schedule that includes Cascade for bittering, Mount Hood for dry hop and both for aroma during a whirlpool, this 6.3% ABV pale comes in high and hard with citrus hop flavours and a dry, crisp finish, but only 29 IBU. Joining that beer will be a BetaBrewed Mexican Lager for which a suitably Good Robot name has not yet been determined. At a very light 4.7% ABV and a barely there 14 IBU, it’s built around pale malt, flaked corn and Vienna for a touch of biscuity flavor, and agave nectar, all paired with the noble Tettnang hop variety, and fermented with a Mexican Lager yeast. This one is likely to be dangerously crushable and reminiscent of a summer day at the lake. • Over in Burnside, Spindrift has some releases in the coming months that they’re teasing on social media. The Killick is labeled as a “session lager” but has been referred to elsewhere as a Munich Helles, a classic German style that is fairly low alcohol, light-bodied, malt-balanced and designed to go down easy. This will be their first packaging in 355ml cans and it will be available in six packs from the brewery sometime around mid-March and then the NSLC later on. Spindrift are also going to have a seasonal single serve slot at the NSLC and the first two offerings will be the Blueberry Chai Pils we mentioned last week from April to June (also available a the brewery in mid-March) and the Blood Orange India Pale Lager from July to September. We’ll surely have more details for you about these beers and their availability as their official release dates approach. • Digby’s Roof Hound has brewed up an interesting new beer, which will be the first in their upcoming Dive Bar Classic Cocktail series, where all the beers will be inspired by well-known cocktails. This first brew is a Mojito Sour – “partially kettle-soured” (meaning half the batch was soured, and then blended with the non-soured half), it will be dry-hopped with Cascade and Centennial, and also feature the addition of fresh mint, and lime zest and juice. The official launch party for this brew will be held on Saturday, March 4th; we’ll keep you updated on the official stats for this one when they’re confirmed. • Word hit the street last week that Greg Nash has brought his Russian Imperial Stout, Commissar to Unfiltered. Last seen during his time at the Hart & Thistle, many have lamented that it was on tap when that establishment closed and the last batch was never properly finished. This time around, the beer was aged on oak for months and fortified with J.D. Shore Black Rum from Halifax Distilling Co.. Promising a slightly sweet flavour with lots of dark fruit and hints of bitter chocolate, it is said to be reminiscent of rum cake. It will be available as of noon today at the brewery for growler fills, Charm School for pints, and both the brewery and Bishop’s Cellar for bottles ($16/500ml). This one is likely to get even better with age, so definitely consider grabbing a couple bottles for your cellar when you pop in for your first taste. But be aware, at 11.6% ABV and full of rum, this one is likely to have you throwing rocks at your own house if you’re not careful! • Red Rover has a new, very-limited batch cider pouring at the Cider House in Fredericton. Just released earlier this week, Blood Orange is a 7% ABV semi-dry cider infused with blood orange juice. Tart and crisp, yet balanced by the accompanying sweetness, it’s available for pours only (no flagon fills) due to the limited supply; however, if feedback is quite positive, there’s a good chance a larger batch will be made in the future. Look for it on tap at James Joyce and Graystone, as well. • Look for a new beer to be released from FirkinStein very soon – Project Orange is described as a “light, easy-drinking ale with a slight orange tang” by the brewery, despite weighing in at a fairly hefty 7% ABV. With a slight citrus hop presence in the background thanks to the addition of Cascade, there was also plenty of orange juice added. It will be making its debut at tomorrow’s Craft Beer Cottage Party, and should also be pouring at Battery Park shortly afterwards. • Big Tide and Picaroons have joined forces to brew a collaboration beer, a Doppelbock named The Uphill Battle. The recipe was concocted between the two breweries, and the beer mashed-in on Big Tide’s system (featuring a grist of Bohemian Pilsner, Munich, CaraMunich and Carafoam). Half of the resultant wort stayed at Big Tide, and the other half was transported to the Picaroons General Store location; both were then boiled, hopped (with Magnum and Perle), and fermented at their respective homes with a dry Lager yeast. Coming in at 6.5% ABV, this malty, toasty brew will be going on tap at the Big Tide brewpub and the General Store tomorrow. • Big news in Halifax from what will be one of the smallest breweries in the region by design – brought to you by the folks behind Stillwell Beer Bar, Stillwell Brewing will be focused on small-batch mixed-fermentations and oak barrel aging, and might possibly be the first brewery of its kind in Canada. Taking up some space in the back area of Propeller Brewing in the North End of Halifax, expect very small scale, periodic bottle releases, and very rare keg tappings (most of which will happen at SW and their Beer Garden). We’ll keep you updated on this exciting bit of info as it develops! In the meantime, follow Stillwell Brewing on Instagram for some pics on behind the scenes activity. • The NSLC released their third quarter financial results covering the three months ending December 31st, 2016, and the news for Nova Scotia Craft Beer continues to be good. While overall beer sales were down 0.4%, craft beer sales continued to grow, with a 29.5% increase to $2.5m over the same quarter in the previous year. Though this increase isn’t quite as large as seen in first (48.4%) and second (39.7) quarters, it shows the industry still has room to grow. It will certainly be interesting to see whether Q4 shows a continuation of this trend and also whether additional shelf space for craft beer will carry the trend into the next fiscal year. There’s a whole whack of events going on over the next few days, especially in the HRM… take your pick from below and be sure to head out over the weekend! • Tonight, the Stubborn Goat will be holding a tap takeover with Charlottetown, PEI’S Upstreet, in the Flight Night at the Goat. Eight Upstreet beers will be on tap, including Smoked Porter from their One Way series. There’s no cover; just show up for plenty of beer, plus food pairings and flight specials! All of the Upstreet crew will be there, anxious to meet you and chat about everything beer! • Been too long since the last <insert amazing brewery here> tap takeover at Stillwell for ya? Well, it really hasn’t been that long at all, but good news! Tomorrow, February 25th, they’ll be hosting a Le Castor takeover, with 12 amazing beers pouring all day. One of Quebec’s highest-regarded breweries, they’re bringing some real winners, such as Colorado (a “dry-hopped Wild Ale”) and Sanctuaire (a Tripel aged in red wine barrels with Brett). No charge to attend, just show up and pay by the pour! • Bishop’s Cellar is holding a Big Spruce tap takeover tomorrow, February 25th, which should last all weekend. 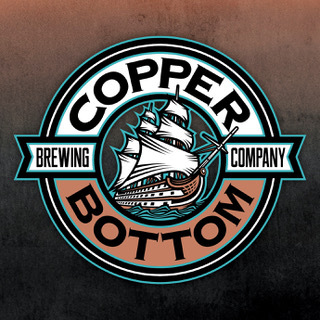 Their collaboration with Bishop’s, Anaphylactic Choc – a 5.5% ABV “Chocolate Peanut Butter Porter” that features Nutsmith organic peanut butter added in the boil and that was aged on organic cocao nibs – will be pouring. Drop by in the afternoon between 1-4 pm, and don’t forget to bring your growlers! In addition to the new brew, they’ll be have Tim’s Dirty American IPA, Kitchen Party Pale Ale, Cereal Killer Oatmeal Stout and Liquid James Brown Milkshake IPA available for fills, with samples of some special one-offs while your jugs are being filled. • Also tomorrow, February 25th, Hell Bay is holding Cocoa & Malt, a special pairing of dark beer and hand-crafted chocolate desserts and sweets. Originally scheduled for Valentine’s Day, it had to be postponed due to weather… and luckily, there’s still some spots left! It’s $25+tax per person; reserve your spot by calling 902-356-3556. • Halifax’s Jamieson’s Irish Pub is currently holding a Bad Apple Brewhouse and Propeller tap takeover, which will continue until this Sunday, February 25th. With eight beers from BAB (including their wonderful Mosaic DIPA), and seven from Propeller (including a cask of their ESB), it’s pay-as-you-drink all weekend. BAB’s owner/brewery Jeff Saunders will be on hand for beer questions/chatting tonight, and Propeller’s brewer/sales manager Pat Robichaud will be available on Saturday night. Check out the full tap list here. – Last night was the first Brew Ha-Ha at the Company House, featuring Tidehouse Brewing and the comedy of Andrew Vaughan, Dan Hendrickson and Frank Russo. We’ll find out more about what sounds like it might be a regular event, and let you know. – The Craft Beer Cottage Party is tomorrow night at the Halifax Seaport Farmers Market at 7pm. Although the VIP passes have sold out it looks like there are still some general tickets available. Come on out to dream of summer and sample the wares of 30 breweries from the region. – Today, Garrison is welcoming Dave Martin, winner of the 2016 Home Brew-Off, to brew his Chamomile IPA on the Garrison system; the beer will be released at this year’s gala on March 23rd. Judging for this year’s competition is actually happening tomorrow, with almost 40 entries for the Wee Heavy style. – Grimross now has their Pugnacious Porter (6.2% ABV) available in cans; joining their Maritime Pale Ale, it’s available at the brewery and should be following in ANBL stores, soon. – The Hammond River Blackberry Berliner Weisse we reported on earlier this month is now available on tap; Ram Jam comes in at 3.2% ABV and is circulating on tap around HR accounts. – March 1st marks one year for Nine Locks Brewing. They’ll be celebrating with draws and in-store specials. If you haven’t been out to see them, it’s probably a good time to rectify that. How did you get into the world of craft beer? I fell in love with craft beer in 2003 when I landed a job at Propeller Brewing in Halifax. The owner, John Allen, became a mentor to me, offering advice and inspiring me to follow my passion. Ashley fell in love with craft beer by proxy and by travelling around North America as a musician visiting local microbreweries. When we travel together we spend lots of time visiting local breweries as well, and have grown to love the whole craft beer scene together which is pretty cool. Ashley and I moved to PEI in 2011. The move inspired change and I quickly realized PEI was the perfect place to open a microbrewery. I also realized that PEI needed more options for craft beer. Having been exposed to the thriving craft beer scene in Nova Scotia, I was excited to see how PEI’s craft beer scene could grow as well. 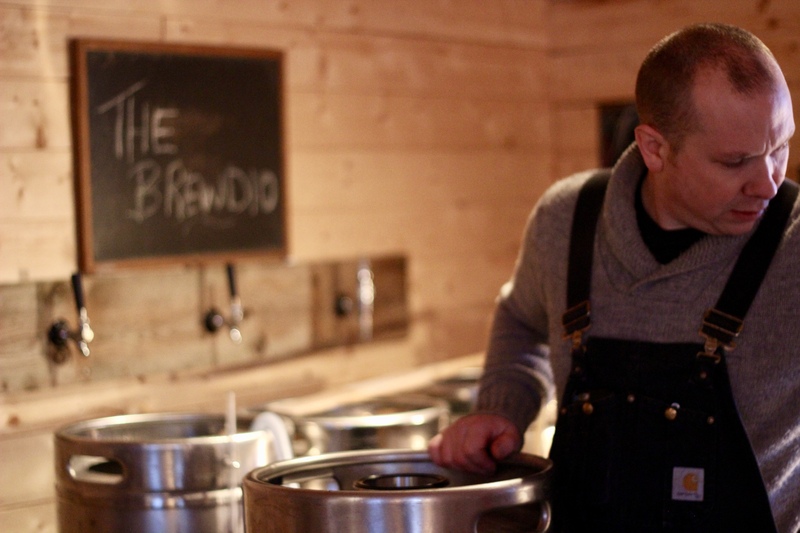 I also felt like my love of brewing could be an asset to the community and allow me to follow my passion. Care to share some info on your homebrewing history? I love experimenting with new beer styles and playing with the flavours. The brewhouse is currently a converted 50 litre keg, propane-fired nano brewery. As mentioned previously, we call our barn the “Brewdio” because it’s a brewery and music/yoga studio in one. Do you have an approximate launch date? We are aiming so serve our first pint mid-summer 2017. What size/manufacturer/type of system will you be brewing on? Expected output (monthly, yearly, etc)? We have a DME 10 BBL (~1170 L) system that has 7000 L cellar capacity to start with, and room to grow. What are your plans for distribution? Plans for tap accounts, bottles, growlers, etc.? Are you licensed for on-site sales? We will have several tap accounts across the Island with growler fills from the brewery, and eventually cans distributed to PEILCC stores. Our tap room – which overlooks the Montague river – will be set up for pints served daily. Do you have some initial accounts in the area lined up to serve your beers? Can you tell us about the beer(s) you plan on offering initially? Are you planning on offering a specific style, or genres (Belgian, English, etc), of beer? Any seasonals, one-offs, or will you stick mainly with a “flagship lineup”? We are committed to a wide variety of styles to keep our options open for experimenting. We will have flagships and we have planned for exciting one-off brews and smaller batches. Keep up-to-date on our Brews News blog on our website. We will be documenting the entire building process as well. We have been in touch with several brewers across the country and everyone has been really helpful. In particular, John Allen (Propeller Brewing in Halifax), Jeremy White (Big Spruce in Cape Breton), Don Campbell (Barnone in PEI), Simon Livingston (L’Espace Public in Montreal) and Mitch Cobb and Mike Hogan (Upstreet in PEI). We will be distributing across PEI and collaborating with other breweries. We also hope to be a hub in our community, hosting monthly events and growing our networks within the artistic and brewing communities. Do you have a favourite beer style, beer, or brewery you enjoy drinking? I love dark, malty beers as well as light and hoppy… and sour beers are changing my life! I love brewing with the American “C” hops and Maris Otter malt. It’s fantastic to see yet another craft brewery planned to open in PEI, and we’re looking forward to hearing more from Ken and Ashley over the coming months, with updates on their progress! Be sure to follow along on their website, as well as their Facebook and Twitter accounts, and of course we’ll be sure to include any news in our weekly Friday Wrap-Up. Friday Wrap-Up – News from Horton Ridge, Foghorn, Petit-Sault, Big Tide, Good Robot, Grimross, TrailWay, Maybee, and more. Happy Friday everyone! What a week of weather for our region! Snow and power outages and cancellations have plagued the region for the past while, but thankfully our local brewers haven’t rested to get us the great beer we all crave. Check out the latest news, and stay warm! • Horton Ridge Malt & Grain, responsible for producing malt used in breweries across the province, has announced that they will begin operating a small brewery onsite, slated to open this summer. The 120 litre (1 BBL) system would serve as a testing ground for the different malt varieties they have on offer, in order to give commercial brewers and visitors to the Malt House the chance to taste the different characteristics of their offerings. The beers would be available on-site only, in their tasting room and facility outside of Wolfville, along with other breweries’ offerings showcasing their malts. We’ll have much more on the details of the brewery closer to launch in July. You can learn more in person yourself with a visit to the Malt House for an Open House tomorrow, 2:30-4:00pm. • Rothesay’s Foghorn recently hosted Patrick Dionne, head brewer at Petit-Sault, for a collaboration brew on their system. Well, that beer is now available on tap, and we’ve got some details to share! Epic Fume is a 5.7% ABV Smoked Porter, featuring beech-smoked malt in the grist to give gentle smoke characteristics in both the aroma and flavour. It’s currently pouring at the Foghorn taproom, and is on tap at the Five and Dime in Saint John. For those of you in the Edmundston area, look for it to start pouring at Petit-Sault sometime next week. • Sticking with Petit-Sault, they’ll be brewing this year’s Big Boots Brew tomorrow, an annual event sponsored by the Pink Boots Society. This one will actually be a collaboration brew, as Wendy Papadopoulos, head brewer at Big Tide, will be participating, along with four other women from the area. The theme for this year’s international brew is Ancient/Historical Beer, with Petit-Sault and Big Tide deciding on a Gruit for their brew, an un-hopped style of beer that relies on the use of herbs for flavouring and bittering. The collaboration beer will be named Malobiannah Gruit, after a local legend involving a young Malecite woman who sacrified herself to save her people during an Iroquois invasion in the Grand Falls area. The grist will feature 2-row, Pilsner, and Honey malt, and a carefully-chosen mix of herbs that includes yarrow, goldenrod, sweet gale, bayberry and lavender. Some local maple syrup will also be added to the brew, which should come in at 5.2% ABV. The beer will be released on International Women’s Day on March 8th, and we can confirm that it will be making an appearance at this year’s Fredericton Craft Beer Festival on March 11th. • Although they don’t have anything truly new for us this week, we’re told that Good Robot in Halifax has a batch of their Burban Legend APA coming to the taps, this one of the v2.0 variety (that’s the one dry hopped with citrussy Cascade and stone fruit Amarillo). Knowing they’d have to sweeten the pot to get us to mention that, they also spilled the beans on a special batch brewed up just yesterday with their staff. Red Moon Rising was brewed for their Women’s Day event, FemmeBot, coming up in March. It’s a Red IPA leaning heavily on Bestmalz Red X, a base malt known for imparting a deep red color. Also in the malt bill are Vienna for some toasty/biscuity notes and flaked barley for mouthfeel and body. Hops include their own “GR Blend” (think Falconer’s Flight 7C’s Good Robot-style) at bittering time and Equinox during whirlpool and the planned dry-hop for a tropical and fruity presence. It’s fermenting now on the classic Cal Ale yeast. Look for release details in the coming weeks (we’d bet somewhere around March 8th…). • Meanwhile in Fredericton, Grimross has already released the second entry in their new Scratch series, Scratch #2: Belgian IPA. This 6.7% ABV, 65 IBUs brew was hopped with Cascade, Columbus, Herkules and Amarillo, most of which were grown in New Brunswick. The brewery describes it as having “a pleasant, citrus hop profile on the nose and palate, and finishes clean and dry”. Fermented, of course, with a Belgian yeast strain to add some classic fruity esters and spicy phenolics to blend with the hop characteristics, it’s on tap at the brewery now for pints and growler fills; you may see it pop up around the city, as well. Grimross has also just brewed a collaboration with Dumfries Maples, featuring a large addition of maple syrup from the Dumfries, NB sugarbush. Details on Dumfries Maples Brown Ale are being kept a secret for now… stay tuned! • Speaking of beers brewed with maple syrup, TrailWay also has one fermenting right now. No, this isn’t actually a coincidence – the New Brunswick government has been encouraging breweries in the province to collaborate with local maple producers to brew these beers. While we’re not sure of the exact details of this arrangement, we’ve been told there are benefits provided to breweries who do so. TW has brewed an Imperial Stout with maple syrup from Briggs Maples; expect it to come in around 9% ABV. TW has also confirmed that the beer will be packaged in cans, as well as kegs. • The new DIPA from Maybee Brewing that we teased about a couple of weeks ago is officially being released today. Look Off DIPA is a big beer at 9% ABV, and was hopped mainly with Amarillo and Chinook (to 105 calculated IBUs). Described by the brewery as “super juicy”, it’ll be available at the brewery for pints and growler fills, and at better beer establishments in Fredericton (including the James Joyce and 540 Kitchen & Bar later today). Look for it to also be released in cans sometime next week, and be sure to take note of the updated label designs for Maybee cans at the same time. • Spindrift teased a new beer on Instagram that they’ve just brewed, based on popular casks they have brought to beer festivals in the past: Blueberry Chai Pilsner (featuring Rooibus Chai tea from World Tea House). They’re keeping quiet on the exact specs and details for now, but don’t worry, we’ll have more, soon! In the meantime, they’re taking their Abyss Schwarzbier to the next level, and bottling a batch of it that sat in barrels, on cherries, next week. It should be available for purchase sometime in mid-March. • The taps at Gahan Harbourfront in Halifax will see a special brew this week as Erebos Porter makes its debut. Starting its life as a batch of Night Vision American Porter, it was aged extensively on figs in Hungarian oak barrels that formerly held Merlot at Bear River Vineyards. According to brewmaster Kyle, the wood and the fruit have rounded out the beer, which is normally quite dry, providing a nice dark fruit character without astringency. With only two barrels (110 litres each) available, this one’s not likely to be available for fills, so plan to hang around the pub and enjoy a pint. And this is the last call for homebrewers interested in taking part in the Home Brewer’s Challenge must contact Kyle to sign up. • Garrison Brewing has released the latest in their test batch series, with Test Batch – Code Name: Juicy 2 today. This hazy East Coast Double IPA comes in at 8.0% ABV and 65 IBU, featuring loads of late hopping featuring Citra, Comet, Ekuanot, and Mosaic, for citrus, pineapple and tropical aromatics and flavour, resulting in a, you guessed it, juicy beer. Compared to the first test batch, this one features a softer mouthfeel, suitable for an extended session of enjoyment. Juicy 2 is available now for growler fills and bottles at the brewery, on tap at select bars around town this weekend, and early next week in bottles at the private stores. • As was reported this week by a legitimate news source (as opposed to three guys with a blog), Uncle Leo’s Brewery in Lyon’s Brook is the latest brewery in the region to purchase a canning line. Citing their existing bottling setup as a source of inefficiency in their system, the line from Calgary (no doubt from the fine folks at Cask Brewing Systems) is expected to help them output an additional 1,000 litres per week and take the packaging process from 2-3 days down to a couple of hours. The installation of the line in May will allow them to meet orders for two new listings with the NSLC in addition to their IPA, namely their Sunburst Pale Ale and a rotating slot. One item in the article of particular note is the comment by co-owner Rebecca Whiffen that the funds to lease the line are to some extent coming from the savings seen in the reduction of the RSMA this year by the Provincial government. While the overall validity of the RSMA can still be debated (or serve as the basis for a lawsuit), it is certainly telling to see how quickly its reduction has made a positive difference to at least one brewery in the province.​ We won’t be surprised if it’s not the only one. • Cunning schemers that they are, those crazy kids at Stillwell are already planning for Nova Scotia Craft Beer Week in May. As they announced on twitter Valentine’s Day (feel the love, people), they’re committing to pouring the best NS Craft Beer Taplist possible all week long during Craft Beer Week. What’s “the best NS Craft Beer Taplist” you ask? Why, it’s the one assembled from YOUR votes! Fling your interweeb device over to this page right here and cast your votes in the four categories provided. Stillwell will apply patented algorithms and serious business to generate a top 12 which will grace the wall at the start of the week. From there cult favourites will rotate in. We’re definitely looking forward to seeing what that wall looks like come May. • This Sunday, February 19th, up in Nyanza, Big Spruce will be hosting an information session for FarmWorks, an Investment Co-operative founded in 2011 that operates as a Community Economic Development Investment Fund (CEDIF). The time has come for another round of investment and this is a chance for you to learn how the organization works to support food-related businesses in the region. Meanwhile, beer samples and snacks will be served and you’ll have the opportunity to tour the new Big Spruce Brewery! More information is available here. • The Fredericton Ladies Beer Connection has scheduled their next event for Wednesday, March 8th. This one will be held at Grimross Brewing from 6:30-8 pm, and will feature a brewery tour, a discussion on Grimross and the beers they brew, and of course a tasting flight, with additional pours available for purchase afterwards. It only costs $8.75 to attend; send an email to freddyladiesbeerconnection@gmail.com to hold your spot. • Good Robot has a couple events on the go this week. Thursday, February 23rd sees the latest in the Good Robot Tiny Pub Concerts series, with Villages, Kim Harris, and Daniel Walker (of Owen Meany’s Batting Stance) coming out to give you an intimate night of Celtic, folk, soul and banter. “Less of a kitchen party and more of a Saturday night at home with friends.” Then on Saturday, February 25th, look for the GR gang at the Craft Beer Cottage Party and consider heading down to the taproom afterwards for their luau after-party with the fine folks from Upstreet Brewing and the dulcet tones of Hawaiian-influenced steel guitar swing band Kokonut Kings. – There is a new beer from Alexander Keith’s Historic Brewery, Nor’Easter Cascadian Dark Ale. At 7.7% ABV and 100 IBUs, it features Cascade and Chinook hops from Moose Mountain and Columbus from Southan Farms, both located along the Saint John River in New Brunswick. It is available at the brewery on Lower Water Street. And look out for a Nitro version of their Lunenburg Coffee & Cacao Stout, available at Lower Deck locations across the province. – Although we reported on the release of Fathom from Nine Locks last week, it only showed up on tap and for growler fills, not in the promised cans. But keen eyes noticed the good word on Facebook this week that Fathom hit the canning line. Look for it at the private liquor stores around HRM in the near future. – We previously mentioned a new blackberry Milk Stout from North Brewing being released for Zuppa Theatre’s Pop-up Love Party that started last night and goes until Sunday. The 5.7% ABV beer was aged in the tank at Battery Park and will be available in 650ml bottles at both North bottle shops and the private stores in Halifax. Look for in on tap as well at Battery Park, including two nitro kegs.